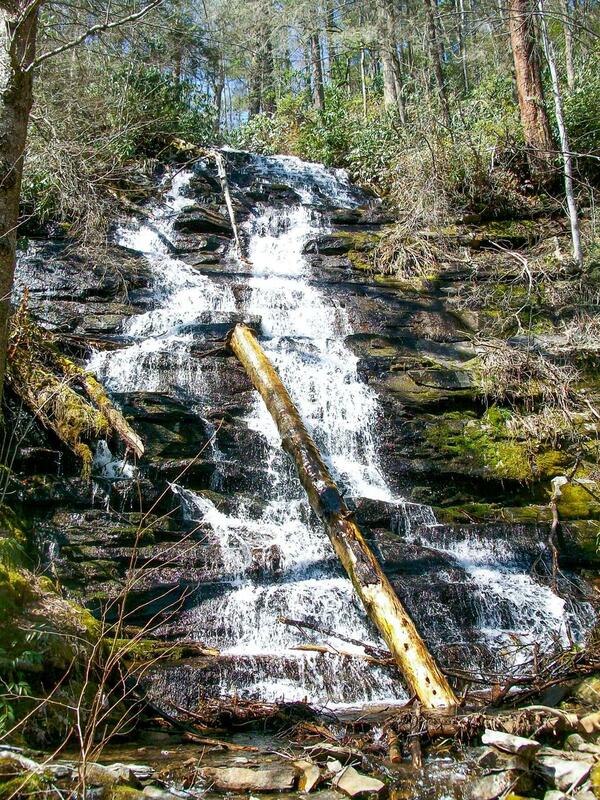 This is a nice, multi-part cascade which gets steeper as the water comes down. There are lots of small individual sections of falling water, making it interesting if not impressive. There's no great area to hang out around the base of the falls, except on the trail and bridge itself. A log has laid on the rock in the falls for many years, and more are being added - in fact, all the hemlock trees in the area are dead or nearly so, and will likely start falling down soon.